The NHS opens its doors to professionals from all parts of the world, but it is up to you to decide what kind of career you would like to build within the world’s fifth biggest employer. The NHS is not only about doctors, nurses, and surgeons. Non-medical specialists are equally as important and they play a crucial role in the success of the national healthcare system (NHS). Today's post will focus on a non-medical professional whose career story proves that determined desire and a proactive approach helps in becoming an important player in influencing the lives of millions. Our guest interviewee in question is Tanya Humphreys; a native Spanish woman who at the moment of the interview worked at Manchester Cancer as the Macmillan User Involvement Programme Manager enabled people affected by cancer to influence cancer services by working in partnership with healthcare professionals. In November 2015, Tanya won the Macmillan Integration Excellence Award for the work she did with Bolton Hospice, Bolton Clinical Commissioning Group, Macmillan Cancer Support and also people affected by cancer. How did Tanya become a member of the NHS team and also a member of the Manchester Cancer team? And what motivated her to influence the way User Involvement is performed in Cancer Services in Greater Manchester? Read on to find out. Tanya, can you tell me how your career in the NHS started? In 2008 I became aware of an opportunity in a GP Surgery in Stockport to train as a Practice Manager. I didn’t have any experience within the NHS at the time, but I decided to apply and I was successful in the selection process. 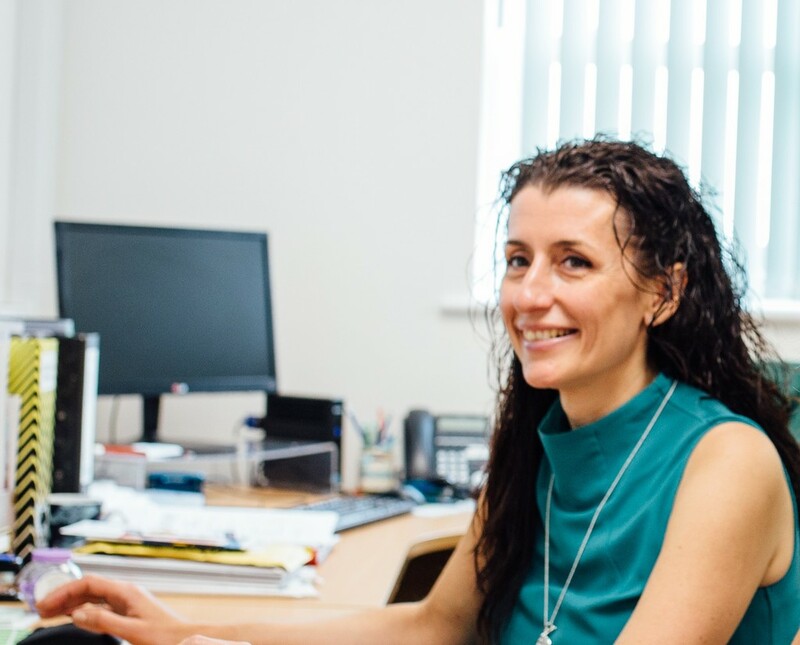 I started as a trainee Practice Manager, however, my predecessor decided to leave early, so I was appointed as the Practice Manager within six weeks of starting. Did you have an idea of what your career path would be? Initially, I thought that I would stay in Primary Care. However, after a few years at the Practice, I realised I wanted to do something different. I found Project Management very appealing, so eventually, I decided to qualify as a PRINCE2 Practitioner. How quickly did you progress with your career? Fairly quickly. I started in June 2008 and I got promoted in January 2010 as the Business Manager for the newly formed GP Partnership, which was the result of the amalgamation of two local Practices. In May 2014, I was appointed the Senior Project Manager for the Macmillan Cancer Information and Support Service in Bolton. Since May 2015 I have been managing the Macmillan User Involvement Programme at Manchester Cancer. While I was at the Practice I did a Master’s degree in Human Resources Management. Because my role involved managing a significant amount of members of staff I thought that I would really benefit from it. I studied part-time over thirty months while running two practices – that was tough, but I am glad that I completed the course as it allowed me to apply for certain roles that required being qualified at Master’s level. What were the results of your further education? After I qualified as a PRINCE2 Practitioner I started to work as the Senior Project Manager in Bolton. That was through the NHS selection process and I moved from the permanent job at the practice to a fixed-term job. I thought that it would be quicker to develop my career by working on a fixed-term contract. Once you have completed your contract, you can negotiate an extension or look for something different - that was a plus for me. Another benefit was having the chance to meet new people, being faced with new challenges and working in a new environment. At the moment your role is a Macmillan User Involvement Programme Manager. How would you describe an average day? Every day is different! I work with clinicians, with managerial colleagues and with people affected by cancer to make sure that service users, i.e. cancer patients and their relatives, friends and carers are involved in the development of cancer services. To make it happen I have to support people affected by cancer who want to be involved, and also make sure that they are in a position to contribute. One of the most important elements in my position is to provide training and support to both service users and professionals. Part of the work that I do is to develop training programmes where even the training is co-designed with people affected by cancer. What has been a particular highlight of your job? In general, I find my job really fulfilling and rewarding. I particularly like seeing how people affected by cancer rise to the challenge. When I was in Bolton for example, we wanted to involve service users in the recruitment of team members. It was suggested including a person affected by cancer in the interview panel, but I wanted to take it further so we split the process into two stages. The first stage of the interview was co-designed and led by people affected by cancer. A total of ten service users assessed the candidates during the first stage of the process. The four Macmillan professionals who now run the Macmillan Information and Support Service in Bolton were selected using similar selection processes and this model is also now being used in other Macmillan services. What would you say was your biggest career achievement? I think that winning the Excellence Award via NHS Bolton and Macmillan has been the highlight of my career so far. It has given me credibility as a professional, but it has also given great recognition of what can be achieved when service users are involved in the design of a new service. Did the award help you to move forward? I think that it has done. My current contract at Manchester Cancer was initially from May 2015 until March 2016. Luckily, it was then renewed for another 12 months, however, I’ve recently been offered a permanent position to work for Macmillan as the Services Programme Manager for the North West. As a professional with experience what would you say are the biggest challenges that you have come across in the NHS? What changes do you expect to occur in the NHS within the next 5 years? I think that there will be a move towards self-management. Resources are limited so things have to change. Self-management would free up some much-needed resources and it would suit certain patients too. It won’t work for all patients, but some patients don’t want to travel to a hospital for minor checks that could be done at home. I see the NHS moving in that direction in the next few years. Lastly, what advice would you give to people who want to apply to work in the NHS? If you are really determined to work in the NHS and you are not immediately successful when interviewing, keep trying. There are hundreds of opportunities within the NHS. When applying for a job, it is very important to state how you meet the essential and desirable criteria in your application and always provide relevant examples of this. We are grateful to Tanya for finding time in her busy schedule to share her experience of working within the NHS with our readers. Our team would like to congratulate Tanya on her new permanent position at Macmillan. Would you like to become a non-medical professional who improves the quality of health care like Tanya? Start today and search for your new role! Apart from helping you to find tailored and suitable roles to apply for, we are glad to walk you through both the application and interview process. If you are looking for the best courses to help you to break into the NHS, or to provide a route to progress within the NHS, take a look at these educational options.